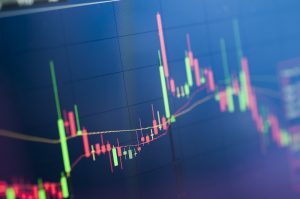 Share the post "An overview of short selling and its strategies"
Short selling a stock is a beneficial technique when trading on the stock market. However, like strategies in other market and CFD trading, it can appear confusing at first. The best way to approach the technique is to understand exactly what short selling is. To short sell a stock, you must first identify a stock that you expect to decrease in price. You will then sell your chosen amount of this stock at your chosen price. Your broker essentially lends you shares to sell, which you will then buy back at your planned time and return the shares to the broker. The aim is to buy the stock back for less than the amount for which you sold it. If your trades are successful, you will earn a profit. Your success depends on the stock decreasing in price. For swing traders, it is best to short sell a stock when it drops below its 200-day moving price average. This means of recognizing either a bullish or bearish trend allows traders to plan where they should place their short position. A short position in this situation has its best potential as the price reverts back to the 200-day moving average amount. When it comes to day trading, the best moment to short sell is a time rather than a market condition. If you’re working according to US time, the prime opportunities present themselves between 10:00 am and 10:30 am The price high during this time period often continues as the high for the rest of the day and is unlikely to break this level. Although all traders are different, certain characteristics are highly beneficial for these trading strategies. The first trait is to be inquisitive and skeptical of conditions that look too good to be true. Famous traders who were successful in short selling, like George Soros and John Paulson, used this trait to make billions of dollars. It may sound cynical, but in the stock markets, it can prove extremely profitable to monitor the market movements with a suspicious eye. The general trend in trading is banking on the possibility of an instrument value increasing, which means short selling requires a more flexible mindset. The most important trait of a short sell trader is the ability to carefully analyze the effects of events and news on the relevant stocks. Being able to correctly deduce likely future movements is how this type of trader achieves success. If you’re interested in short selling penny stocks, it is vital to understand that these can be highly volatile and therefore risky. Be sure that your techniques are tested and well-developed to avoid the danger of an unexpected turnaround in a stock. It is often easy to expose your trades too much when practicing short selling. You should never go all in or short too heavily purely because you are convinced you are right. The trade setup known as a short squeeze is one of the most dangerous risks for short selling. The trader Jacob Little, who traded during the 1800s, fell prey to this after multiple successes and subsequently lost everything. A short squeeze occurs when a stock rapidly increases in price, causing traders who are shorting the stock to lose vast amounts. Factors like a low float, low prices and a high number of stocks shorted can increase the risk of a short squeeze. It is clear that this method of trading stocks can be highly risky, especially because you are betting against the trend. However, the right mindset and strategic planning can allow for great profits. The key is to combine your intuition with thorough analysis, and to do so in moderation.